"So sorry to hear of the loss of Sammy, I pray you take comfort in the wonderful years you had with him Sis. Prayers and hugs for you and..."
Sammy "Sam" Daniel Cooke 9/26/48-8/12/18 Delton, Michigan aged 69, went to meet our Lord and Savior on Sunday, August 12th. 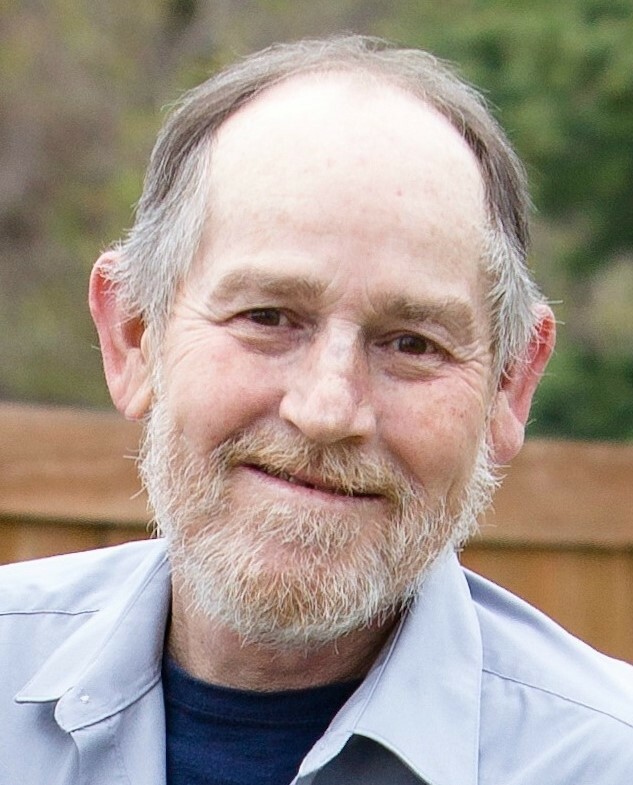 Sam was preceded in death by his father, Jimmie Cooke, his mother, Wanda (Humphreys), brothers, Jimmie J. Cooke and Jay Pollock, and brother-in-laws, Allen Sage, Jack Behymer, and Gil Morrell. Sam was born in Knox County, Texas and attended school in Odessa. With his mother's passing during early adolescence, he joined Jimmie and Lorraine, becoming a member of a much larger family with brothers, sisters, and several foster teens. Sam focused on his strong reading and mathematical skills, graduating in 1967 from Palo Verde High School, Tucson, Arizona. He enlisted in the United States Navy for one term and served on the U.S.S. Enterprise. His early work history varied in the food, retail, home construction, and waste-water treatment industries. He enjoyed the thrill of trawler boat fishing in Alaskan waters (was deemed the ship's cook) and the challenge of shrimp bait fishing in the Gulf of Mexico. Sam followed his family's move to Michigan where he met his future wife, Sheree, though there were first more adventures to pursue in the U.S. Southwest. Upon his return, love was rekindled and they married in 1989, raising a family in the Delton area. 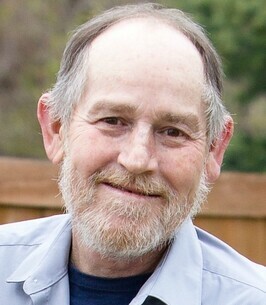 Sam was employed twenty-five years with the Georgia-Pacific Epic Plant, Parchment, Michigan, retiring in 2016. Sam was an avid novel reader. He enjoyed crossword puzzles, card and board games, particularly the challenge of out-scoring his sister playing Scrabble. With strong vocabulary skills, he earned a try on the game show, "Wheel of Fortune". Pan fishing and golfing topped his leisure activities though two separate hip breaks prevented him from enjoying these upon retirement. Sam's kind, gentle nature and quick wit was appreciated and admired by those who knew him well. Sam is survived by his loving wife, children, and family, Sheree A. (Morrell), son Grady J. (Jessie) Cooke, Portage, daughters Tezra M. (Michael) Whittaker, Otsego and Samantha L. (Jesse) Skidmore, Paradise, CA, and five granddaughters. His mother, Lorraine Cooke, brothers, Michael Hill (Barbara Davidson), John (Chris) Hill, James Hill (Deb Ege), Thomas (Donna) Cooke, sisters, Gayle Behymer, Joy Sage, and Evelyn (Charles) Morse, and many nieces and nephews. Family and friends are invited to attend Sam's graveside memorial and placement of his cremated remains on Saturday, September 29, 2018, at 1:00 PM at the Oak Hill Cemetery, Orangeville, Michigan and Celebration of Life immediately to follow at the Orangeville Township Hall. As Sam encouraged youth to participate in extra-curricular and outdoor activities, in his memory, please consider a donation of sponsorship to your local youth club. Sam’s family is being served by the Williams-Gores Funeral Home, Delton. Please visit www.williamsgoresfuneral.com to share a memory or to leave a condolence message for Sam’s family. To send flowers to the family of Sammy D. "Sam" Cooke, please visit our Heartfelt Sympathies Store. We encourage you to share any memorable photos or stories about Sammy D.. All tributes placed on and purchased through this memorial website will remain on in perpetuity for future generations. So sorry to hear of the loss of Sammy, I pray you take comfort in the wonderful years you had with him Sis. Prayers and hugs for you and all the family. Give your Mom a hug for me.